Hello and welcome back to Early Bird Breakdown. It’s week 10 of the season, last week the Packers traveled to Foxborro to play the Patriots. Before going into this week’s match up we will take a look back at the recap. 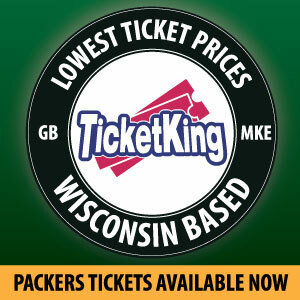 Last week, the Packers show cased the largest difference between themselves and the Patriots. In what was billed as a battle of quarterbacks, it was the coaches that truly showed the differences between the franchise. Despite having the more talented defense between the two teams, the Patriots schemed open plays to create open looks that lead to points. Conversely, the Packers on offense had no creativity in play calling or balance. While the Packers did fumble the ball running, they were gashing the Patriots for 4.7 yards per carry but abandoned the run early in the second half. Play calling has been an issue all season, and it was on display on national TV on Sunday night. The Patriots won 31-17. Was that recap too negative for McCarthy’s play calling? In my opinion, I did not go far enough but that likely will not be a massive issue this week against the Dolphins. Miami ranks 26th in total defense, but the concerns with the offense scoring in this game are internal and will not be due to anything threat the Dolphins present. 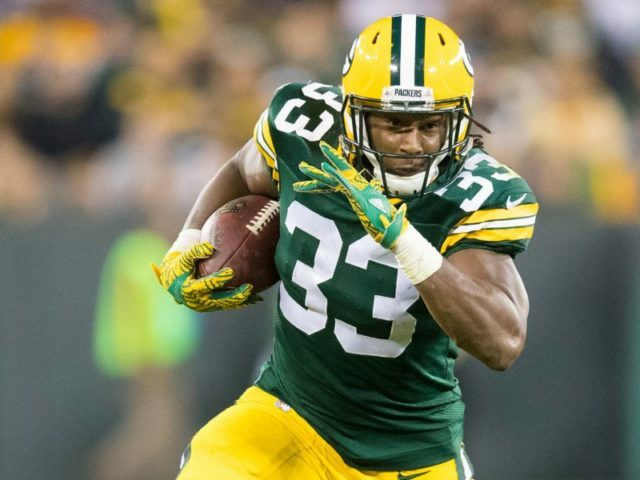 Aaron Jones leads the NFL in yards per carry with a minimum of 50 attempts at a staggering six yards per carry, yet is averaging under 10 rushes a game. Jimmy Graham is a physical mismatch as he is too big for corners to cover and to quick for yet is never put in formations to make use of this. The Packers have the talent, and thus should over come the Dolphins, but are horribly misusing their personal and using antiquated schemes and route trees to drive their potential efficiency to the ground. Five words, one reason the Packers have no business losing this game: Dolphins starting quarterback Brock Osweiller. He is having the best season of his career, but he still for his career has nearly as many interceptions (30) as touchdowns (37). He has a historic track record of derailing franchises and the Packers defense is far too skilled to be beaten by him. The Dolphins are averaging 22 points per game with him starting. The Dolphins do not have any particular threats in the passing game to be concerned with, and while their running game does not get many yards per game, the ageless Frank Gore is still averaging over four yards per carry and will likely be the focus for the Dolphins. Green Bay is expected to be about 34 degrees for kickoff with some clouds but for the most part a clear forecast. This prediction has mostly been negative, but that is because of the state of the team right now. At 3-4-1, the Packers are holding on to playoff hopes but their feet resemble the holes in the cheese heads after how many times they have shot themselves in the foot at this point. The Packers have a number one wide receiver in Davante Adams (while not a super star, he is one of the better receivers in the league and would be most teams number one option). They have one of the five most physically gifted tight ends in the league in Jimmy Graham. Aaron Jones has been amazing when he does get the ball. Aaron Rodgers has been forced into playing hero ball though because the talent is either not given enough touches or the offense cannot scheme any of these weapons into effective positions. Defensively, the Packers have looked good for the season, most of the issues have been due to short drives on offense that leaves the defense on the field for long stretches. What does all of this mean for this game? Well, the Dolphins likely do not have the personnel to take advantage of the Packers offensive issues. The Dolphins have the fourth-fewest sacks in the NFL which will give the Packers time to get their wide receivers open for Rodgers. I do not trust McCarthy to run the ball enough, but when he does there is no reason to expect the Dolphins to bottle up Aaron Jones. On the other side of the ball, Osweiller will have difficulty with Kenny Clark and Mike Daniels collapsing the pocket. None of the Dolphins wide receivers are talented enough to cause issues for the Packers secondary either. Combine that with the warm weather team playing in chilly weather, Packers should still win comfortably, Green Bay wins 38-20. This entry was posted in Early Bird Breakdown, Stuart Weis and tagged Aaron Jones, Aaron Rodgers, Davante Adams, Green Bay Packers, Jimmy Graham, Kenny Clark, miami dolphins, Mike Daniels, mike mccarthy. Bookmark the permalink. The Dolphins offense will mix patient runs with easy passes to open receivers, dominating time of possession. Aaron Rodgers will continue his moronic lure-them-offsides delay tactics and wind up blowing timeouts and throwing the ball away at epic rates. Aaron Jones will get a paltry 15 carries. Cobb will be fed throws while E. Saint Brown will get 1 or 2 throws–wasting his talent. Our return game will continue providing the worst blocking in the history of humankind. Our punter will continue looking horrible. This should be an easy win. We’ll lose. Well, Pandabucks was about as wrong as it’s possible to be. As usual. We’re going to beat Seattle on Thursday, too.